To the outside world, it would appear freelancing offers many advantages. You get to be your own boss, set your schedule, manage responsibilities, and submit work in a timely manner. But the reality is there’s a ton of discipline that goes along with this lifestyle, and at no other time is this more apparent than tax season. We spoke with some professionals about what freelancers must remember to avoid costly mistakes come April 15. The first thing freelancers need to keep in mind is estimated tax payments, says Paul Jacobs, certified financial planner and chief investment officer with Palisades Hudson Financial Group. This happens quarterly and must be made for both federal and state income tax, if that’s an issue, depending on where the person works. The estimated payment deadlines are usually on the 15th, but they move around when the 15th falls on a weekend or a holiday. In 2017, it’s April 18, June 15, Sept. 15, and Jan. 16, 2018. 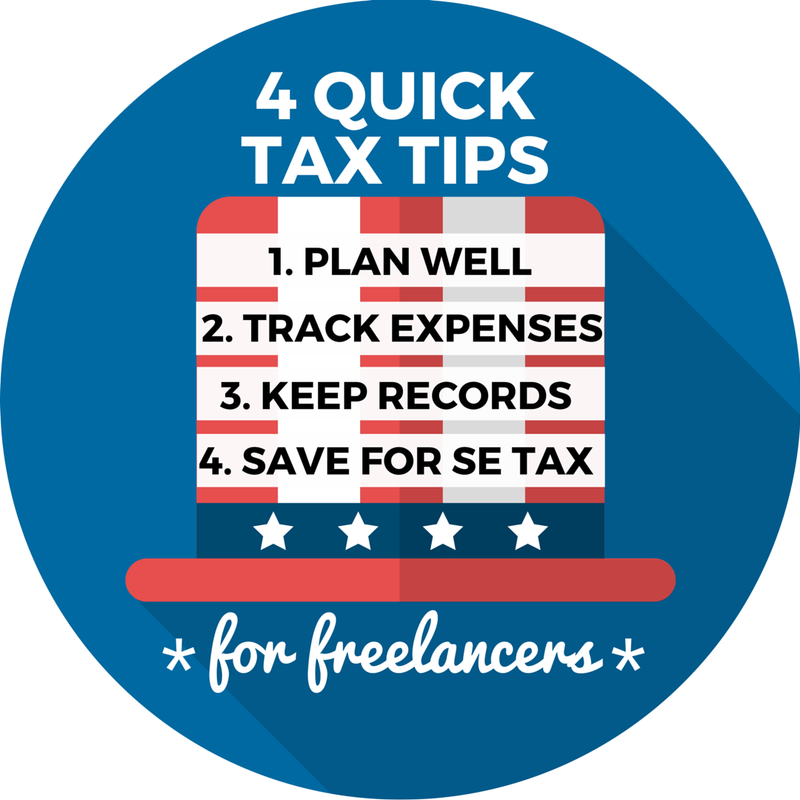 Freelancers can get into trouble and end up with back taxes or tax debt if they don’t stay on top of expenses, keep good records, and prepare well. An example: The self-employment tax can be a bitter pill for those new to working alone and who aren’t familiar with how expensive this tax can be, Jacobs says. The tax is 15.3 percent on the first $118,500 of a person’s income. Next thing to keep in mind: 1099 filing requirements. Contractors usually receive 1099 MISC forms, but if they subcontract any work out, they need to file their own 1099s. After your first 1099 MISC filing, you’ll know what to look for in future years. Sean O’Hare, certified public accountant and founder of O’Hare Associates CPAs, says the key to navigating tax preparation as a freelancer is proper planning. “As a freelancer, it’s important that you’re accounting for all of your expenses properly,” O’Hare says. One expense that’s often missed is the mileage expense. “The standard mileage rate for 2016 is $0.54 per mile,” says Attorney Ryan Saltz. Every time you drive for business purposes – this includes going to the store to buy supplies – can be a deductible expense if you’re buying things for your business. Don’t forget your home office. While this is a great deduction opportunity for independent contractors, the IRS pays close attention to it. The main rule of thumb is that the space needs to be exclusively used for business purposes – so a kitchen or living room is not appropriate to claim as a home office. You’re in pretty good shape if you keep track of all expenses relative to your business. It really all depends on what works for you – whether it’s a written list or spreadsheet or bookkeeping software to keep records straight. Remember, though, that failing to report income can be a big mistake. Failing to report income – or reporting it past the deadline – can lead to penalties, interest and other unwanted IRS attention, Saltz says. “Ultimately, Uncle Sam can decide to perform an audit,” he says. Still have questions? Consider hiring a tax professional. “I spend so much time and money on continuing education so I can help clients reduce their tax liabilities,” O’Hare says. ← The media is pushing back on the White House press ban. Journalists have rights. Are you in?